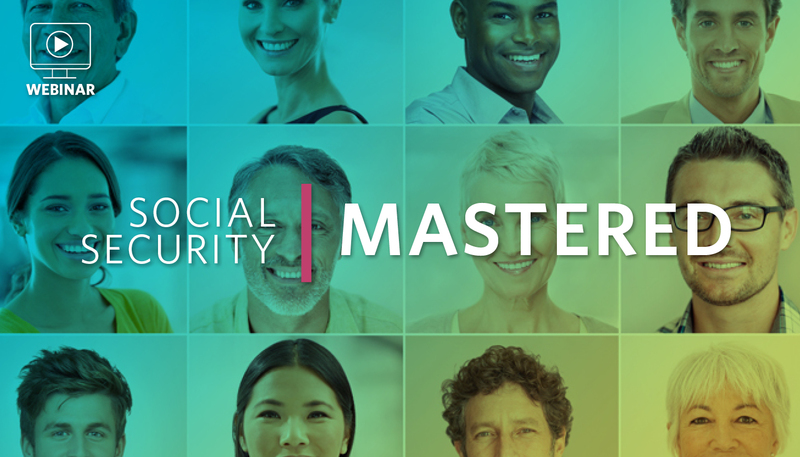 All month long, we’ve been talking about Social Security and the many ways it could impact your clients. But have you thought about how it could impact their families? By now, you’ve hopefully read our Crossing the Bridge white paper, which explains how you can use an annuity to delay Social Security benefits and maximize your clients’ retirement income. * Maybe you’ve also taken a look at our JourneyGuide™ planning software, which literally shows the impact of delaying benefits to age 70. Aside from increased income and improved portfolio performance, there are collateral benefits to optimizing Social Security income. Typically, your client is trying to get as much income as possible and as early as possible. Help them consider all their options – and the impact on those they care about –before they make a potentially irreversible decision. First of all, taking Social Security income at age 62 means that the benefit will be reduced by 25 percent for someone eligible for full retirement at age 66. If they were to wait until age 70, their benefit would be 32 percent above their full retirement age. That equates to a 76 percent increase over the income received at age 62. That’s significant! Your client’s Social Security decisions will also impact their spousal benefits. So, at the death of the primary insured, the beginning income for the spouse would be 76 percent higher in many situations. Also, the impact of cost of living increases on both benefits should not be overlooked. This is a key consideration as you look to leverage some of the many options available in Social Security for couples. Another consideration is when there are young children involved. With more adults having children later in life, you must consider the impact on their family at retirement and at the death of the primary insured. A delay can add significant dollars to those households with younger children still at home. Children with disabilities need consideration, too. There are numerous strategies to maximize Social Security for your clients, especially married couples. Take time to sit down and listen to their concerns and legacy plans. It’s highly likely that the proper choice of Social Security options can make a big difference for them and their families. Learn all the options with Social Security and look to maximize the primary insured’s benefits. For their own needs, and the needs of their loved ones. We sat down with Jim Blair to talk about unique situations around Social Security your clients may be facing. Ninety-one percent of Americans don’t know the factors that determine the maximum benefit Social Security can provide.1 If you don’t know what makes up the source of revenue, how can you feel comfortable about your retirement income? Let’s educate ourselves and our clients. More than 50 percent of Americans continue to elect Social Security prior to their full retirement age, which results in lower income levels for the rest of their lives.2 We need to show clients how waiting to elect their benefits, even for a couple of years, can result in long-term improvements to their retirement plans. People who elect Social Security income at age 62 will spend as much as 64 percent of their income on future health care expenses.1 Be sure your clients know how health care costs skyrocket in retirement. Not just long-term care, but general medical costs for prescriptions and doctor visits. Only one-third of Americans work with a financial advisor – and only 20 percent have an advisor who provides advice on Social Security income planning.1 That’s painfully low. It’s largely because Social Security does not translate into an asset under management for fee income or a commissionable sale. We talked with Jim Blair to tackle unique situations around Social Security your clients may be facing.